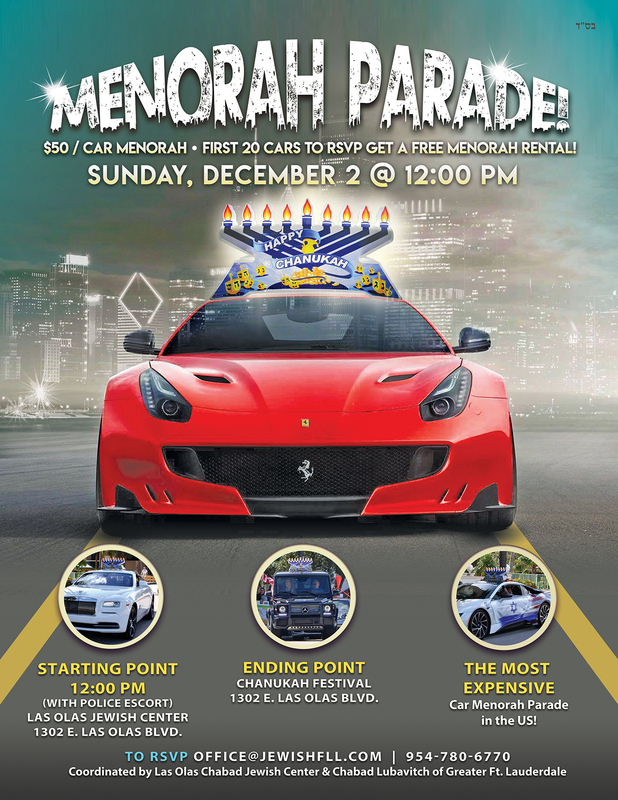 $50/car Menorah *First 20 cars to RSVP get a free Menorah rental! Las Olas Jewish Center, 1302 E. Las Olas BLVD. 1302 E. Las Olas BLVD. The Most Expensive Car Menorah Parade in the US!